All ATP products are designed to meet the performance demands required by off-road enthusiasts in every situation. Our Products are 100 percent American Made, For the Off Road Industry. We are proud to release the industry's first 4.0 Jeep Renegade / Compass lift kit for all models of the 2015- present Jeep Renegade / Compass. The 4.0 Renegade / Compass Lift kit is 100 percent bolt on, easy to install, and is made from T6 Billet Aluminum. American Trail Products Strut Spacer bolts directly to the factory strut and does require you to disassemble the Struts to install the New Specifically Designed Coil Springs. The ATP Jeep Renegade / Compass Lift Kit fits all Renegade / Compass models including 4WD Sport, Latitude, Limited and Trail hawk models. 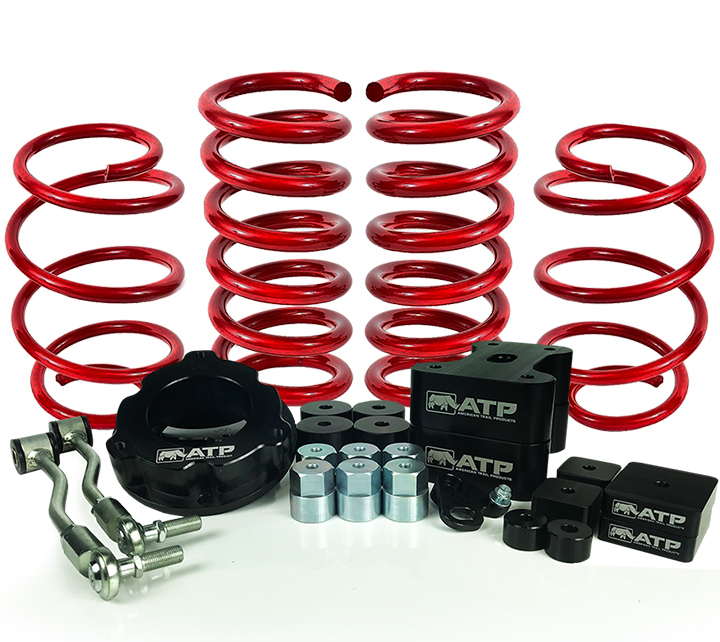 The kit is designed to lift your Jeep Renegade / Compass 4.0 inches. The actual lift may vary depending on Renegade model height to begin with, while maintaining the factory ride and stability.